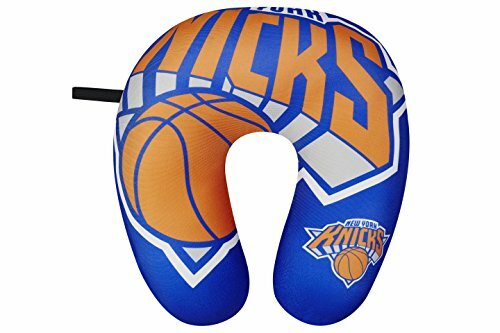 Show off your team spirit and be comfortable when travelling with this NBA Impact Neck Pillow by Aminco. Each neck pillow measures 13-inches by 12-inches and is decorated with vibrant team colored graphics. It has polystyrene bead fill material which is both soft and moldable. It is great for travelling and NBA officially licensed, recommended spot clean only. Spalding NBA Detroit Pistons NBA Courtside Team Outdoor Rubber Basketballteam Logo, Royal Blue, 29.5"
NBA Washington Wizards Spaldingteam Logo, Multi, 29.5"